I am so excited to be joining Kim from Life over C’s, along with many other bloggers, to bring you a learning activities series in which you don’t need to buy ANYTHING! 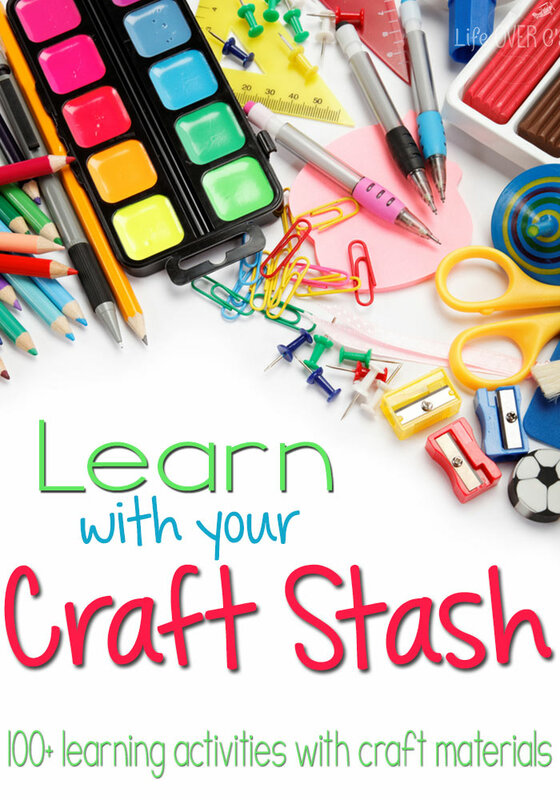 Just raid your craft stash and get to learning! 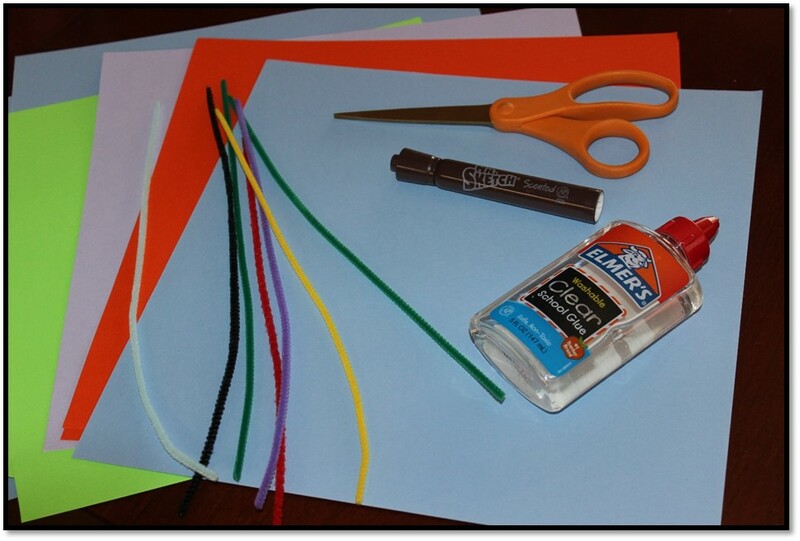 Today’s craft item is pipe cleaners. These are inexpensive items that can do SO much! In my house, we use them to discuss lines and angles (along with many other things). 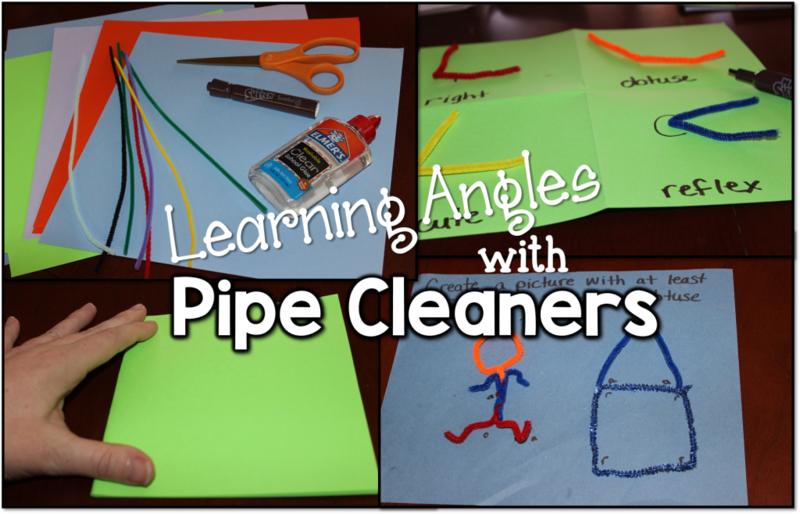 We started by just playing with the pipe cleaners first. (I have found that giving them a little bit of play time first goes a long way!). Then, we discussed where we see lines and angles in everyday life. We talked about the different sizes of angles and gave them names (acute, right, obtuse, and reflex). Then, I had the kids show me examples of each type with their pipe cleaners. At the end, they divided a piece of paper into fourths (we used scrapbook paper because it is already square so when you divide it into fourths, each box is equal; you could also use construction paper and turn that in to a square first if you want even sized boxes) and they each showed an example of each of the 4 types of angles and labeled them. You could glue these down as well. 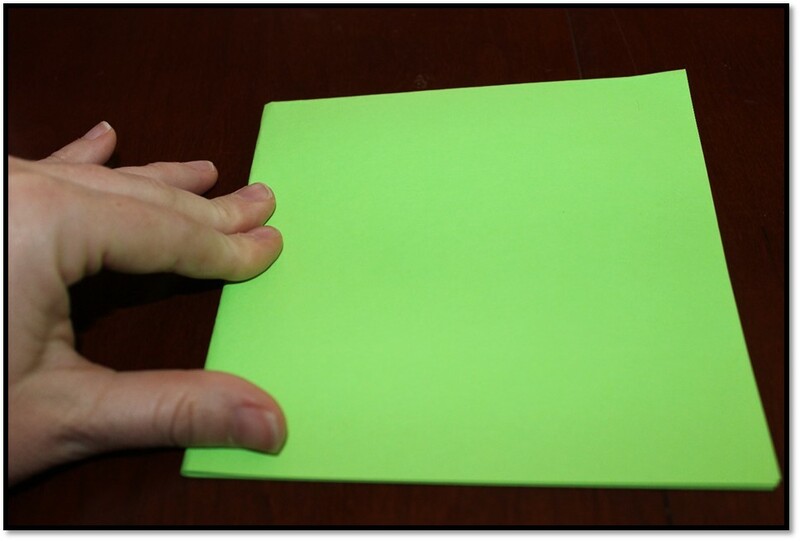 We folded scrapbook paper into fourths for 4 equal boxes. After creating each angle type, we labeled them and marked where the angles were. 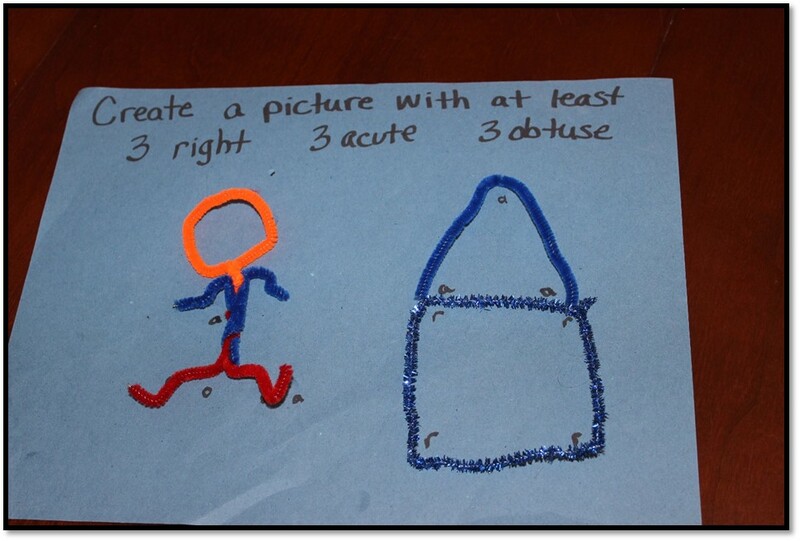 Next, I had them create a picture out of pipe cleaners to show off their angle knowledge. 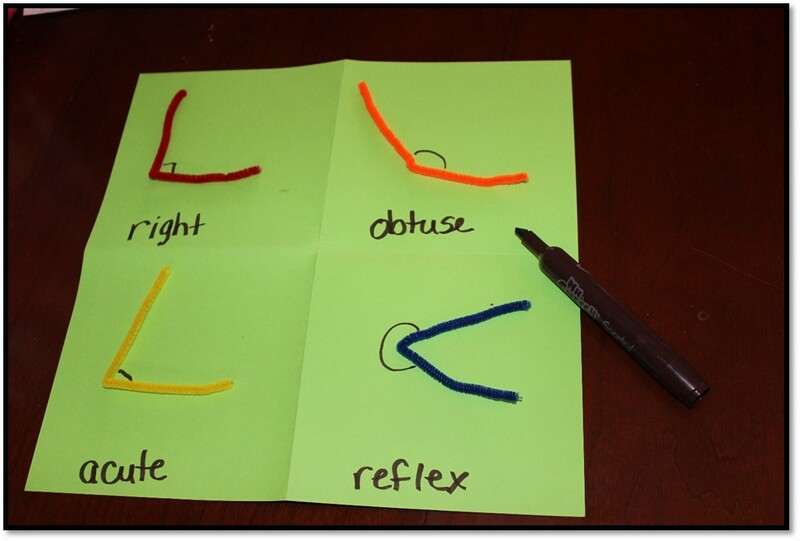 I asked them to use at least 3 of each angle (right, obtuse, and acute; I didn’t require reflex as those aren’t seen as often and can get easily confused with acute if the kids aren’t sure which side the angle should be on. However, this could be required as well!). That is it! Easy, cheap, hands-on learning! 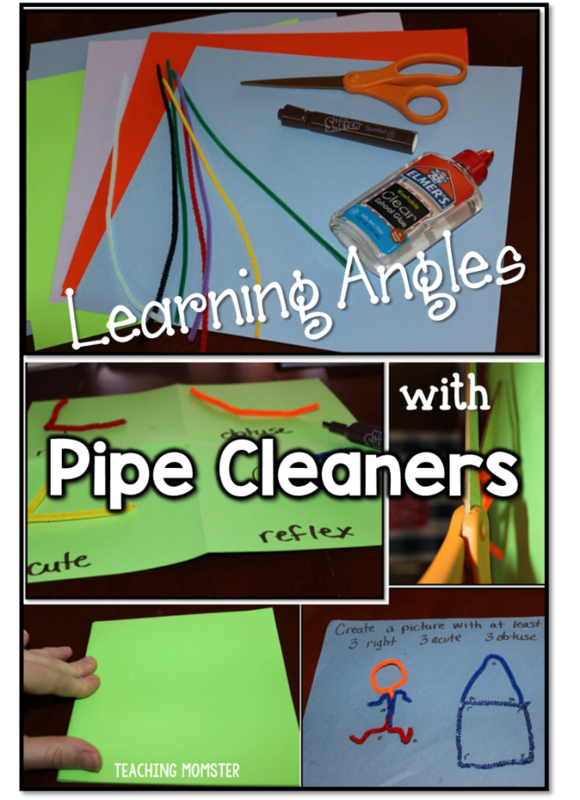 Make sure to check out the other ways you can use pipe cleaners (and other items from your craft stash) by checking out the Life Over C’s page. Craft Stick Puzzles Coffee Filter Symmetry Kevin Henkes Lapbook–on Sale this week! 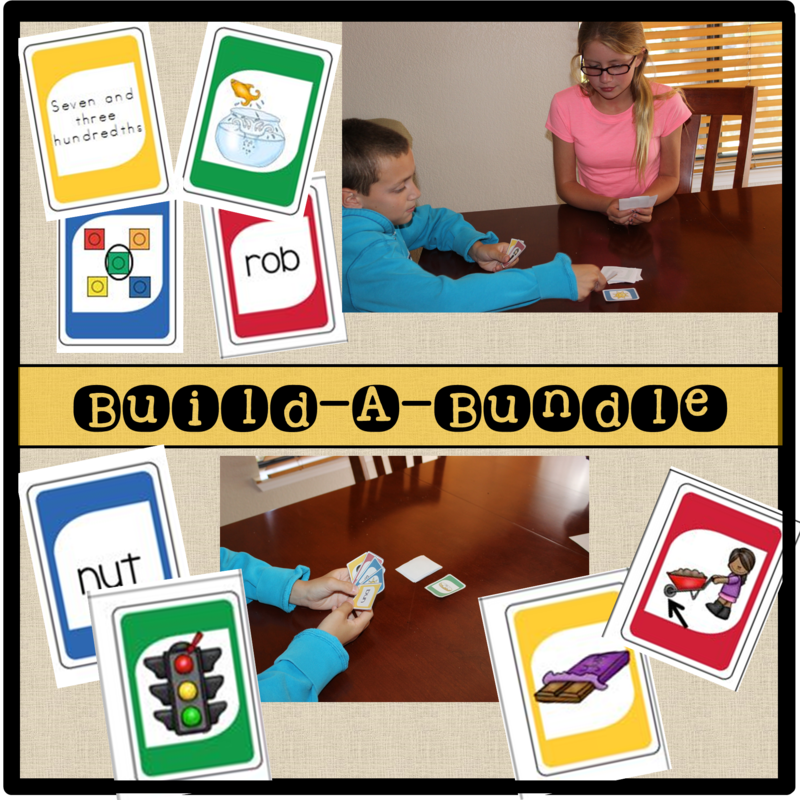 Task Cards–Ways to Use and Store!